WNC Diversity Engagement Coalition is a network of organizations dedicated to increasing diversity and inclusion. We bring people together to collectively support the professional development, engagement, and inclusion of multicultural people within the member organizations in Western North Carolina. Below are our current members. For more information on how your current organization can become a member, click here. Asheville Area Chamber of Commerce, a not -for -profit based in Asheville, NC. The mission is building community through business. The staff of 45 works with over 1,800 businesses, organizations and coalitions toward common goals of supporting the community and fellow businesses. Asheville-Buncombe Technical Community College ("AB-Tech") with a student body of some 27,000 students and a faculty and staff of 1,100, inspires, nurtures and empowers students, employees and the community toward a better quality of life through progressive teaching, bold innovation and supportive collaboration. Asheville City Schools info coming soon! Asheville School info coming soon! Biltmore Company ("Biltmore") info coming soon! Buncombe County (the "County") with a population of some 247,000 people and 1,200 employees has a mission to promote a healthy, safe, well-educated, and thriving community with a sustainable quality of life and an effective and efficient government our citizens can trust. Buncombe County Schools info coming soon! Carolina Day School (CDS), with a Pre-K/12 student body of more than 650 students and a faculty and staff of nearly 160, is an inclusive community where inspired teaching and an innovative program combine to create the ideal balance for transformational character development and intellectual growth. The City of Asheville (the "City") with a population of some 87,000 people and staff of 1,200, has a mission promoting "Our Quality of Service, Your Quality of Life while upholding the core values of: Continuous Improvement, Integrity, Diversity, Safety and Welfare, and Excellent Service." McGuire, Wood and Bissette info coming soon! Mission Health System ("Mission") is a not-for profit based in Asheville, North Carolina with a staff of over 10,000. Mission is the state's sixth-largest health system and the region's only not-for-profit, independent community hospital system governed and managed exclusively in Western North Carolina. Mountain Area Health Education Center, Inc. ("MAHEC"), with a staff of 600, is a not-for-profit organization located in Asheville, North Carolina, serving a sixteen county region in Western North Carolina to address national and state concerns with the supply, retention and quality of health professionals. Rainbow Mountain Community School ("Rainbow") is an independent pre-k through 8th grade school committed to developing accomplished, confident, and creative learners who are prepared to be compassionate leaders in building a socially just, spiritually connected, and environmentally sustainable world. Rainbow provides an engaging, nurturing learning environment to educate the whole child using Rainbow’s seven domains, and we inspire academic excellence with a program in harmony with the stages of child development. In short, we model within our community the kind of world in which we aspire to live. The University of North Carolina at Asheville ("UNC Asheville") - As North Carolina's designated public liberal arts university, UNC Asheville builds critical thinking and workforce skills to last a lifetime. Consistently recognized as an innovator and leader in the liberal arts, UNC Asheville ranks #7 among public liberal arts universities in the nation by U.S. News and World Report. With more than 3,800 students from 37 states and 28 countries, and nearly 750 faculty and staff, UNC Asheville is one of the nation's top public liberal arts universities and one of the 17 institutions in the University of North Carolina system. UNC Asheville offers more than 30 majors leading to the bachelor of arts, bachelor of science and bachelor of fine arts degrees, and a Master of Liberal Arts and Sciences. 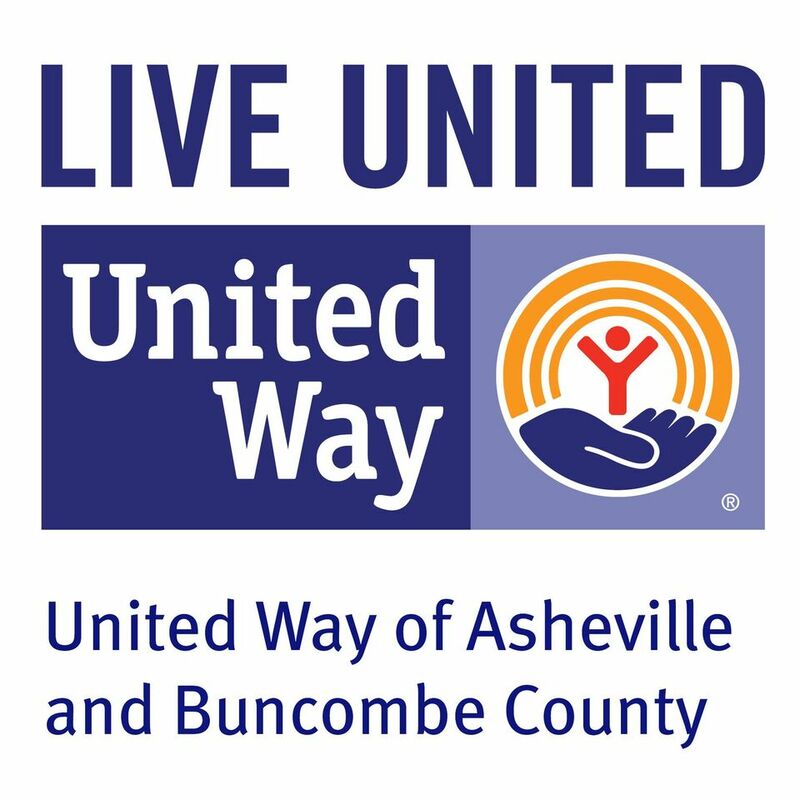 United Way of Asheville & Buncombe County info coming soon! Warren Wilson College is the only national liberal arts college that fully integrates on-campus work and off-campus community engagement into its curriculum. In addition to its innovative experiential program, the College and its 750 students are known for their strong commitment to environmental sustainability, diversity and social justice. Recognized for dedication to inclusivity by the Princeton Review—No. 2 “most LGBTQ-friendly” in the nation—Warren Wilson College is a Fiske Guide “best buy” and among College Magazine’s “top 10 greenest campuses.” Undergraduates represent 46 states and 16 countries, and the College contributes more than 58,000 hours to the community through collaborations with 257 service partners. Verner Learning Center info coming soon! The YMCA of Western North Carolina ("YMCA") is a nonprofit charitable organization that strengthens communities through youth development, healthy living, and social responsibility. Its 850 employees serve more than 36,000 households in Buncombe, Henderson, and McDowell counties. YWCA of Asheville ("YWCA") is dedicated to eliminating racism and empowering women. We offer programs that bridge gaps in education, healthcare, childcare and earning power. These programs include an Early Learning Program (childcare), MotherLove (education and support for pregnant and parenting teens), Getting Ahead (financial empowerment for low-income women) Empowerment Childcare (free childcare for women and families in need) Diabetes Wellness & Prevention, Aquatics (swim lessons and health programs) and the YWCA Fitness Center. The YWCA has been in Asheville since 1907 and currently serves more than 2,500 families a year.